To practice evidence-based medicine, doctors need to understand how research is conducted and be able to critically appraise research evidence. A sound understanding of medical statistics is essential for the correct evaluation of medical research and the appropriate implementation of findings in clinical practice. 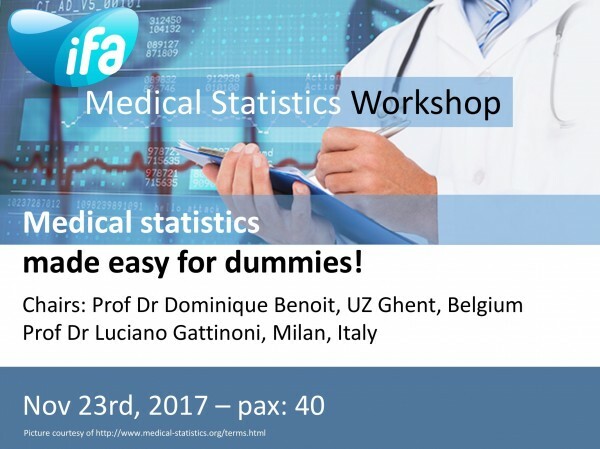 Learning objective: This workshop will outline the basic principles on medical statistics made easy for dummies by key-experts in the field. Doshi P. Data too important to share: do those who control the data control the message? BMJ. 2016 Mar 2;352:i1027. doi: 10.1136/bmj.i1027.